The “Other” Competition: Application of Two Dueling “Other-Insurance” Clauses | Golden Rothschild Spagnola Lundell Boylan Garubo & Bell P.C. In a recent unpublished decision, Foerster v. Meckel Enters., 2016 N.J. Super. Unpub. LEXIS 2238 (App. Div. Oct. 12, 2016), the Appellate Division addressed two competing “other-insurance” clauses in policies issued by two primary insurers. In its decision, the Appellate Court applied the previously adopted majority rule set forth in W9/PHC Real Estate LP v. Farm Family Cas. Ins. Co., 407 N.J. Super. 177, 199 (App. Div. 2009), which held that where one policy has an excess “other-insurance” clause while another policy on the same risk does not, the former policy will not come into effect until the limits of the latter policy are exhausted. In Foerster, Plaintiff was injured when he slipped and fell on water on the bathroom floor of a property rented by Robert S. Foerster-Optician, Inc. (“RFO”), from Meckel Enterprises, LLC. and Ann Arbor Associates Inc. (the “Meckel Defendants”). Plaintiff filed a Complaint alleging he informed the Meckel Defendants that water was leaking in the bathroom, and their failure to properly repair the leak created a dangerous condition which led to his injuries. While in litigation, the Meckel Defendants moved for Summary Judgment arguing that Penn National’s “other-insurance” clause was inapplicable, and that their policy with Citizens should be the excess coverage. Penn National Cross-Moved for Summary Judgment, arguing its excess “other-insurance” clause invalidated the pro-rata “other-insurance” clause found in the Citizens policy. The Trial Court granted Penn National’s Cross-Motion for Summary Judgment finding Penn National was the proper excess carrier. The Meckel Defendants appealed the Trial Court decision. On appeal, The Meckel Defendants argued that the section of the Penn National policy cited above declaring them the excess carrier was inapplicable because Plaintiff’s claims were for “bodily injury” and not “direct physical loss or damage.” Penn National disagreed with this interpretation, arguing instead that all coverage under its policy is subject to the “other-insurance” provision, and as a result the Trial Court correctly found them to be the excess carrier. In explaining their reasoning, the Appellate Court noted that “other-insurance” clauses fall into one of three categories: (1) pro-rata; (2) excess; and (3) escape. The Citizens policy was identified as being a pro-rata clause because it addressed the method of sharing liability, while the Penn National policy was labeled a pure excess clause. Analyzing these competing clauses further, the Appellate Court noted that Penn National’s excess clause does not establish a sharing of obligations, while the pro-rata clause found in the Citizens policy defines the method of sharing, and defines how contribution will be distributed, including contributing when another insurance policy does not account for such sharing or contribution, as was the case here. 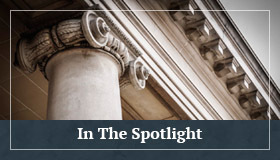 The Appellate Court echoed the reasoning behind the W9/PHC decision, noting it recognizes language in both polices, and provides an approach where neither insurance company is obligated for anything more than it was contracted to provide for its insured. Based on the fact that the Citizens policy included language discussing contribution and sharing, while the Penn National policy did not, the Appellate Court agreed that the Penn National policy should only come into effect when and if the Citizens policy limits are exhausted. While not precedential, the Appellate Court’s decision in Foerster presents a practical application of the rule adopted in W9/PHC. The Foerster Court analyzed the language found in both of the competing “other-insurance” clauses and determined how each policy should be applied based on a plain reading of each of the clauses. As the Court noted, when there is language found in one policy that provides for sharing of the insurance obligation, while the other competing policy is strictly an excess “other-insurance” clause, coverage shall be applied so both policies are providing nothing more than what was contracted for. Audrey L. Shields, Esq. is a Shareholder in GRSLB&G’s Professional Liability and Insurance Coverage Departments. She represents major insurance companies, insurance agents and brokers, and self-insured entities in the defense of coverage disputes, errors and omissions claims, bad faith litigation, and other insurance related issues. Audrey can be reached at ashields@grsl.com. Gregory B. Mgrditchian, Esq. 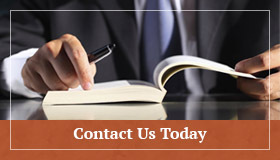 is an Associate in GRSLB&G’s General Liability and Construction Departments. He represents insurance companies and self-insured companies in the defense of these claims. Gregory can be reached at gmgrditchian@grsl.com.